TR3 (pronounced Tre) is without doubt a voice of the future and a light of hope that there is a remnant in this generation that is truly unashamed in declaring the gospel. 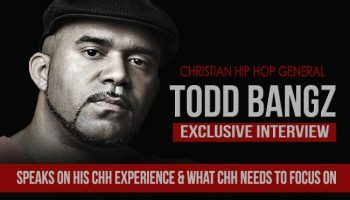 Being the son of Stellar award nominated, CHH veteran Todd Bangz, TR3 has obviously been well groomed in Christian Hip Hop and thoroughly disciplined in his faith. 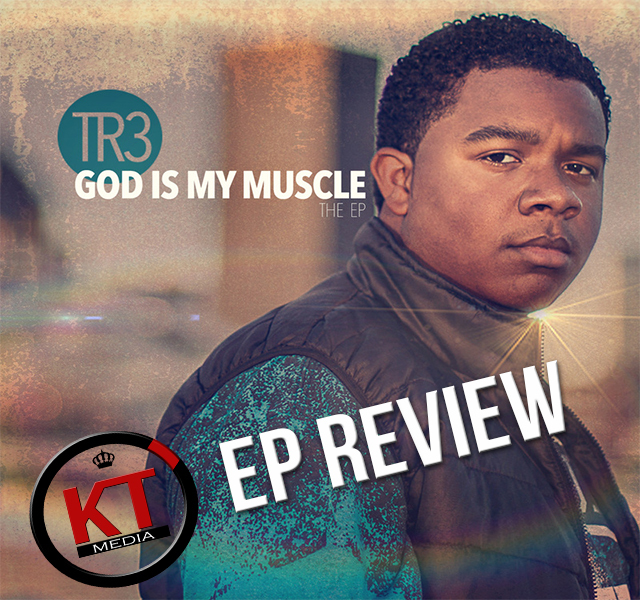 The fruit of his gift and his faith in Christ is clearly displayed in his new EP project titled ‘God Is My Muscle’. 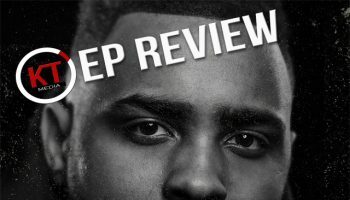 So with that being said, let’s get on with this review. The EP kicks off with a real upbeat, bouncy track titled ‘Body Move’ which features CHH veteran ‘J.A.Z.’ and ‘Todd Bangz’. 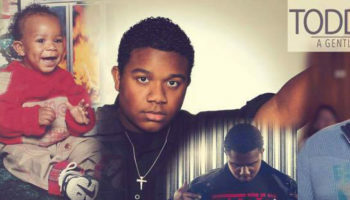 This is a very catchy song and TR3 shows he can hold his own on the track with his Pops and J.A.Z. This a special song because it shows 3 generations of CHH on one track and the blend is amazing, TR3 is cut off some great cloth. The second track is the title track ‘God is my Muscle’ and this joint goes pretty hard. The track bangs and TR3 flows easily over it. The song is a declaration of being totally dependent on the Lord and a slaying of the flesh and TR3 makes his position in Christ known. Next up is ‘Outpour’. The message in this song is heartfelt. 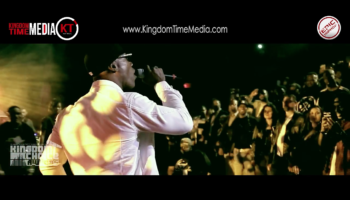 TR3 expresses his desire for more of God in his life. My critique on this song is, I’m not crazy about the hook. I think if he would have had a female sing the hook, it would have been better executed. The hook came off a little bland. Track number 4 titled ‘Updated’ is another catchy bouncy track. Unlike the ‘Outpour’ track, the hook and the beat is really what carries this song. TR3’s verses on this track are solid and his flow good, but nothing blew me away. 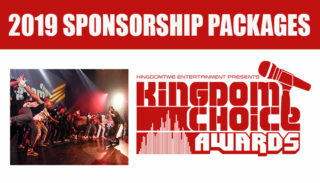 The concept of the song was great and I’m sure some will love it. The final track titled ‘The Bible Tells Me So’ is an absolute banger on every level! 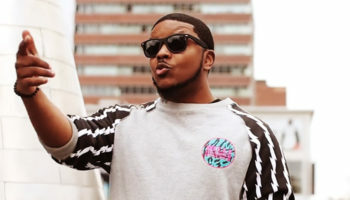 TR3 spits bars and his flow is immaculate! The beat goes very hard with the samples, sirens and crunk bass. This track maybe the dopest track on the EP. Overall the ‘God Is My Muscle’ EP is a solid project. I think TR3 is definitely one to look out for and he is destined to continue the ‘Bangz’ legacy.